Congratulations to this year's Gift of Security winners! Security 101 and Axis Communications, Inc. proudly announce the winners for the 2017 Gift of Security Award! Thank you to all of the individuals who took the time to nominate and vote for nonprofit organizations in their communities! The Gift of Security awards deserving local nonprofit organizations the chance to win a new, state-of-the-art video surveillance and recording system which is donated by Axis Communications, Inc. and installed by Security 101. Public voting ran from January 20th through January 31st, 2017. Read on to learn more about each of the winners and their mission as a nonprofit organization. The mission of Florence Crittenton Services is to promote health and hope for tomorrow’s children by providing comprehensive health, educational and social services for single pregnant and non-pregnant adolescents and women, mothers and their babies in the foster care system. Focus: HOPE is a nationally recognized civil and human rights organization founded in 1968 after the Detroit riots. Throughout the years, Focus: HOPE has developed numerous programs in its efforts to overcome racism, poverty and injustice that include Education & Workforce Development, Food & Basic Needs, and community revitalization called The HOPE Village Initiative. Habitat for Humanity South Hampton Roads Mission Statement is to build affordable homes that strengthen families and communities in South Hampton Roads. Habitat SHR has completed 214 homes since 1990 to help low to moderate income families achieve their dreams of home ownership. Habitat homeowners and their families experience a positive, wide-reaching, and permanent impact. Having a quiet place to do homework and a safe neighborhood in which to play greatly benefits children. What started as a local soup kitchen in 1983, is today so much more than a meal and one of Monmouth County's most vital social service agencies. Lunch Break serves our neighbors in need with food, clothing, friendship and support, food pantry, Youth and Women's Mentorship programs, Suited for Success (a clothing boutique) pet food, children's cooking classes, extensive social service network, backpack school program for underprivileged children, a holiday toy program, Holiday food baskets, a home-bound food delivery service, community dinners and more. Retirees living on a fixed income, Veterans, single parents, the physically disabled, college students all reach out to Lunch Break in a time of need. Every year, the Coalition provides a temporary “home” for about 2,700 homeless individuals, including more than 700 children. For most, homelessness is unexpected, and happening for the first time in their lives. Individuals and families arrive at our doors with little or nothing, needing a safe place to lay their heads and keep their children safe and healthy. But they receive much more than shelter. We offer them new hope for the future with opportunities for education, job skills, medical care, budgeting, legal assistance, mental health treatment, specialized services for victims, and innumerable resources to meet special needs. The mission of Housing Families First is to provide families experiencing homelessness the tools to achieve housing stability. The goal is not only to assist families in finding permanent housing, but also to ensure that each family has access to the supportive services necessary to achieve long term housing stability. The mission of the Citizens Against Physical and Sexual Abuse (CAPSA) is to provide safe, caring, and confidential shelter, advocacy, and support for victims of domestic violence and sexual assault; and to reduce incidents of abuse through prevention education. The Mission of the Boys & Girls Club of San Marcos is “to inspire and enable all young people to realize their full potential as responsible, caring citizens.” Our vision is to provide an extraordinary Club experience that assures success is within reach of every young person who comes through our doors. 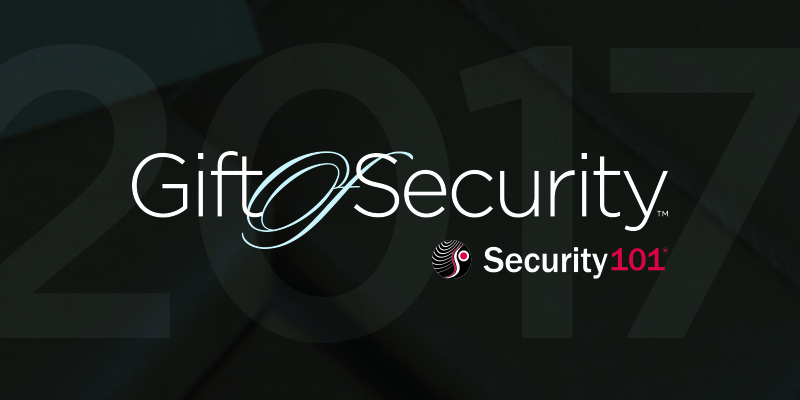 The Gift of Security is a special Security Solution Program (SSP) from Security 101®. The annual program consists of a community-wide contest that awards deserving local nonprofit organizations the chance to win a new, state-of-the-art video surveillance and recording system which is professionally engineered and installed by Security 101. Learn about what makes Security 101 the leader of the security integration industry, and the experts that make up Team101.